Give this subtropical plant full direct sunlight, slightly dry soil and fertilizer during certain growth periods and you will have a colorful tree to accompany any space! With abundant color ranging from fuchsia pinks or purple, to white or orange, this hearty plant does excellent in the tropical Florida weather. This tropical vining shrub can be grown to climb along the side of your house or be pruned to decorate a pot as a shrub. 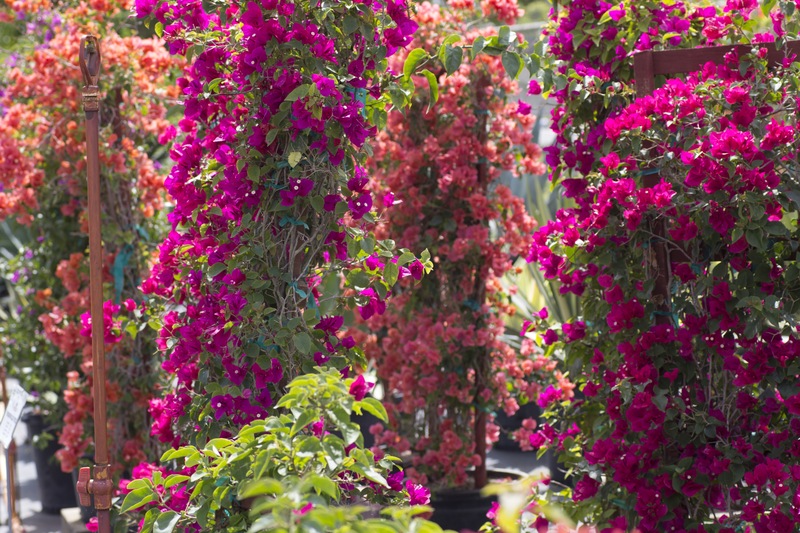 Bougainvilleas can grace the inside of your home, a trellis in your yard or any type of fencing you might have. It requires little effort to care for and will produce gorgeous blooms during the months from October to March. 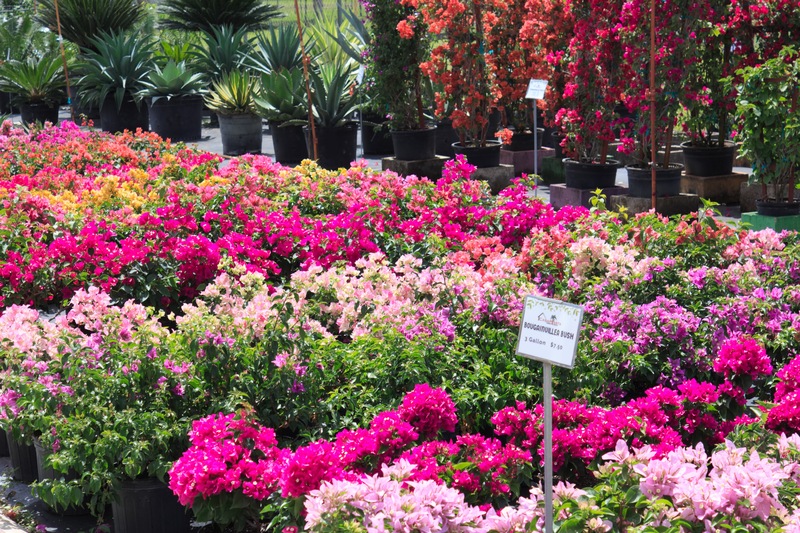 In the Summer, once the days become longer and the heavy South Florida rain begins to come, bougainvilleas won’t have as flowerful months. However, they won’t die on you either. This plant will not do well in areas that frost or in soils that retain water well. Bougainvilleas flourish best when days are equally long as nights and when they are fertilized monthly after their vegetative cycle. The vegetative cycle is when the plant is primarily producing leaves and stems. Once they start mainly producing buds and less structural growth is occurring, this is a good time to fertilize your plant. 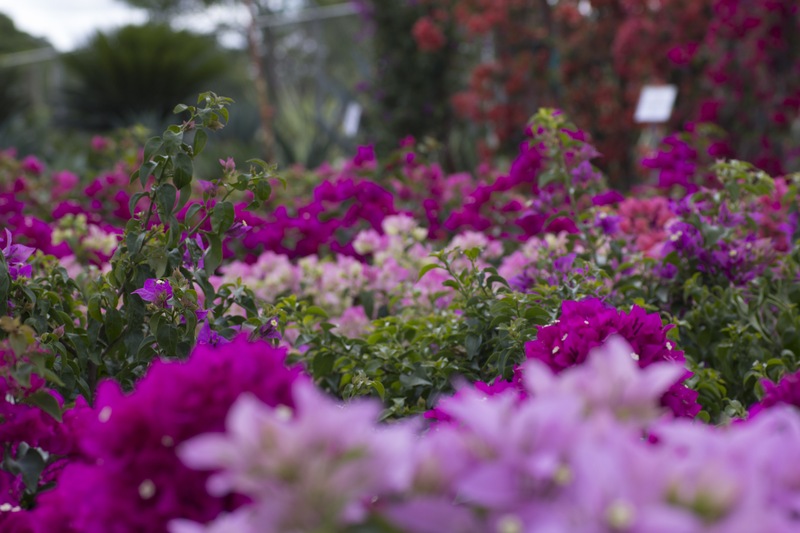 It is best to fertilize your bougainvillea three to four times a year and before heavy rains begin to fall. BGI’s BOUGAIN® 6-8-10 is a good fertilizer brand that we carry. When deciding where to grow your bougainvillea, if you are considering growing it in a container, make sure the pot has drainage holes and is big enough for the amount of soil a mature plant needs to grow. Also, consider investing in hedge and pruning shears to groom the plant to encourage proper structural growth, as well as your desired look.